Nestled among typical French landscapes, Camping Château de Montrouant is surrounded by picturesque vineyards and rolling hills. 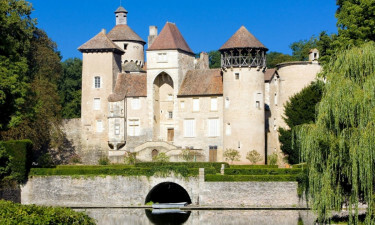 This luxury camping site is at the foot of a beautiful château, making this a unique and attractive base for your holiday. The result is a campground that delivers a perfect combination of history, culture and nature. LuxCamp is your destination when booking your camping holiday at Château de Montrouant . Surrounded by lush woodland and pretty lakes, Camping Château de Montrouant covers an area of 18 hectares. With its own lake and its natural setting, anglers and nature lovers will feel particularly at home at this scenic holiday camping site. 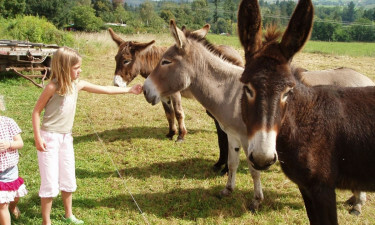 Why Choose Camping Château de Montrouant? Situated between Montmelard and Gibles in eastern France, Camping Château de Montrouant is an ideal spot for a quiet camping holiday. Whether you are travelling with your mobile home or plan to occupy a pitch with your tent, this intimate holiday camping destination offers a tranquil setting to relax. Activities throughout your stay also keep you busy, including wine tasting for adults and tractor rides for children. 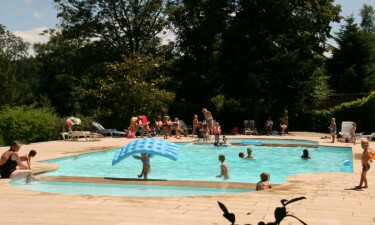 A lovely outdoor pool is just one of the leisure facilities you will finding during your camping holiday. For little campers, there is a dedicated children’s swimming pool and a playground. The campground has its own tennis court. You will also fall in love with a small lake at this luxury camping destination. Camping Château de Montrouant has a cosy bar and a convenient takeaway service. The campground’s shop sells bread and other essentials, while a nearby restaurant is just 1.5 kilometres away. There are also handy on-site laundry facilities.